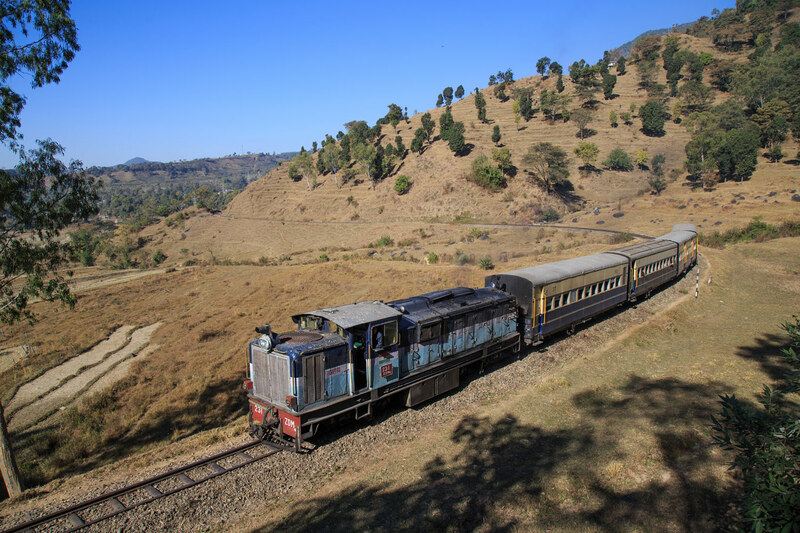 On the fourth and final day of the Kangra trip we decided to hire a driver to chase train 52471, the Pathankot Joginder Nagar passenger from Kangra to Joginder Nagar and then follow it back to Kangra where we would board to return to Pathankot. 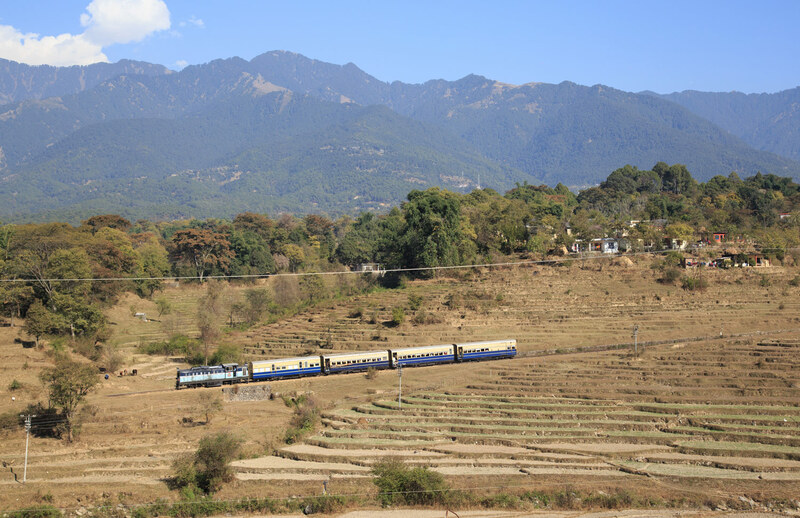 Unfortunately, my oversleeping and the hotels slow checkout process caused us to miss the train leaving town and we only caught up right outside Palmpur where we were able to make one nice photo with the Himalayan range in the background (above). 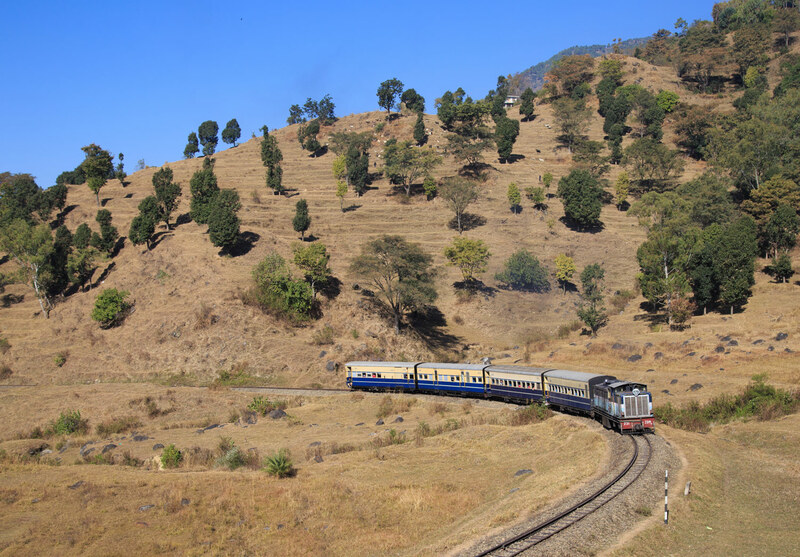 At Palampur the train met Pathakot bound service 52466 and we photographed it leaving the station, somewhat of a mistake as we would miss a better shot of the Joginder Nagar bound train as a result. 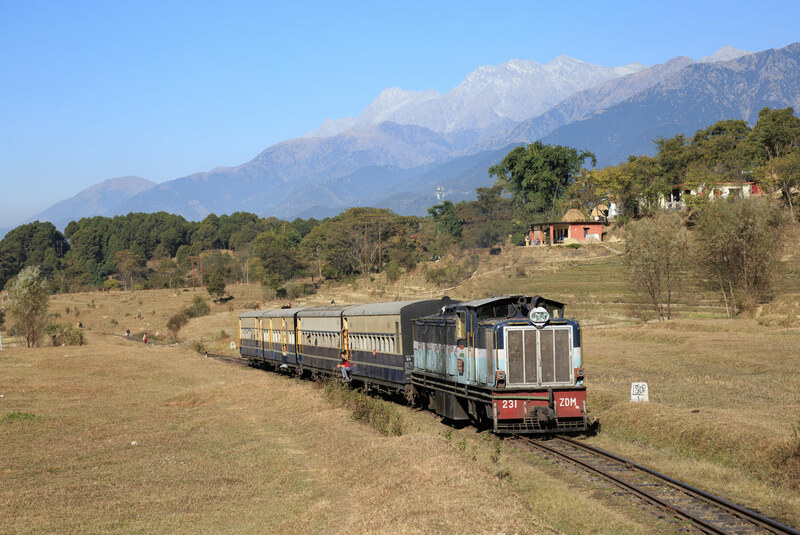 Unfortunately from Palampur to Baijnath the track and road does not parallel so we caught up only after the station stop at Baijnath. 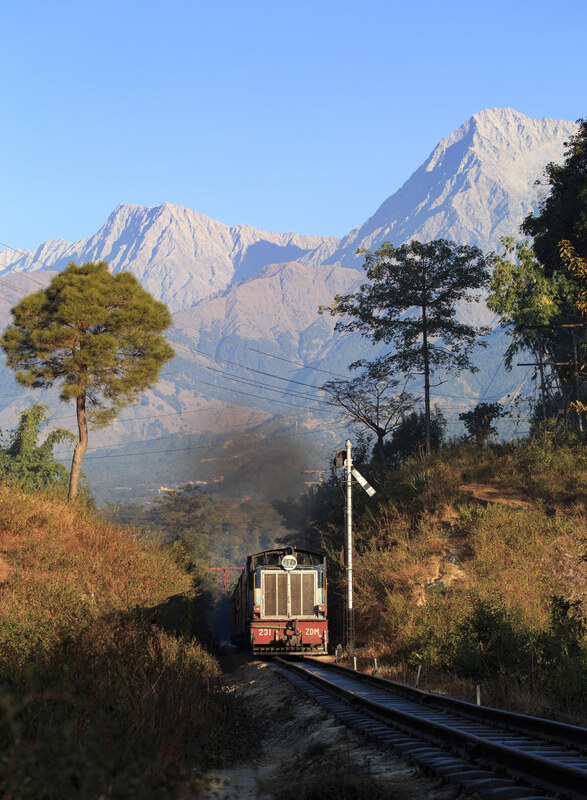 Baijnath is one of the most important stops on the line and is where the majority of the trains terminate. 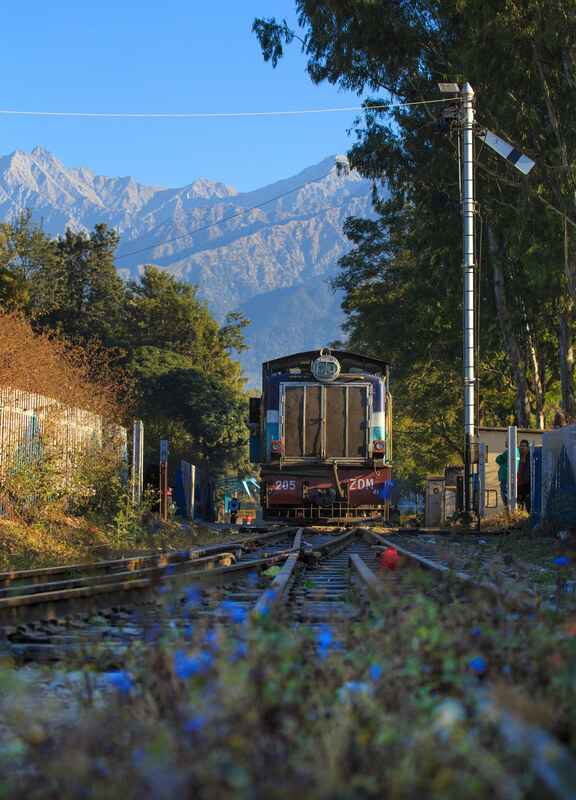 Only the train we were following and one late evening service continues all the way to Joginder Nagar. 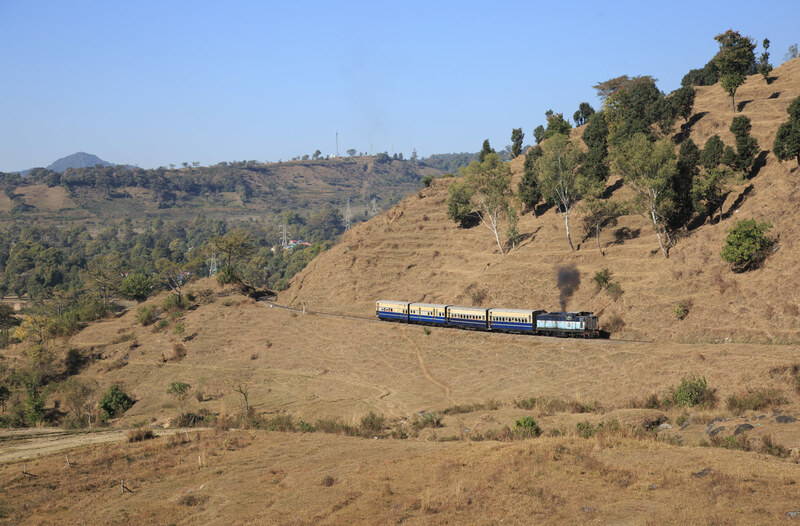 From Baijnath onwards the grades become extremely steep and the train is reduced from 7 to 4 coaches. 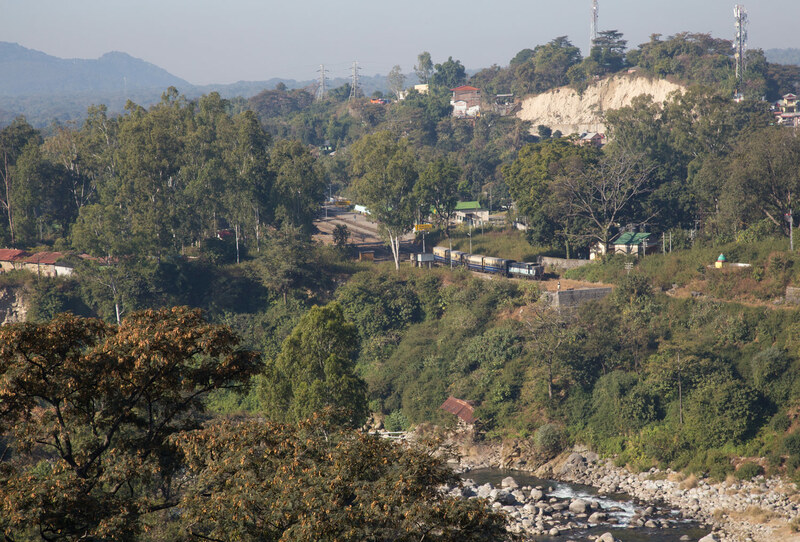 Below: Overhead view of the train leaving Baijnath and crossing Binwa River. Unfortunately we were not able to make it across the level crossing before it was closed by the gate keeper but I’m rather happy with this portrait of the human side of Indian railroading. In most western countries this job would be done by a mechanical gate activated by track sensors. The Indian way is alot safer and in a country with over a billion people provides much needed employment. Credit where credit is due, I probably would not have found this great angle without Thomas and Robin’s scouting the day before, one of the best views we got of the train with the Himalaya’s in the background. The train is nearing Ahju station which is the highest point on the railway and the train is climbing a very steep gradient at this location. After Ahju the scenery changes dramatically, gone are the views of the Himalayas and they are replaced by the low scrub hills terraced for agriculture. I had reffered to the previous segment as “Indian Austria” so naturally this part was “Indian Italy”. This as our final shot as the end of the line was only a few kilometers away. 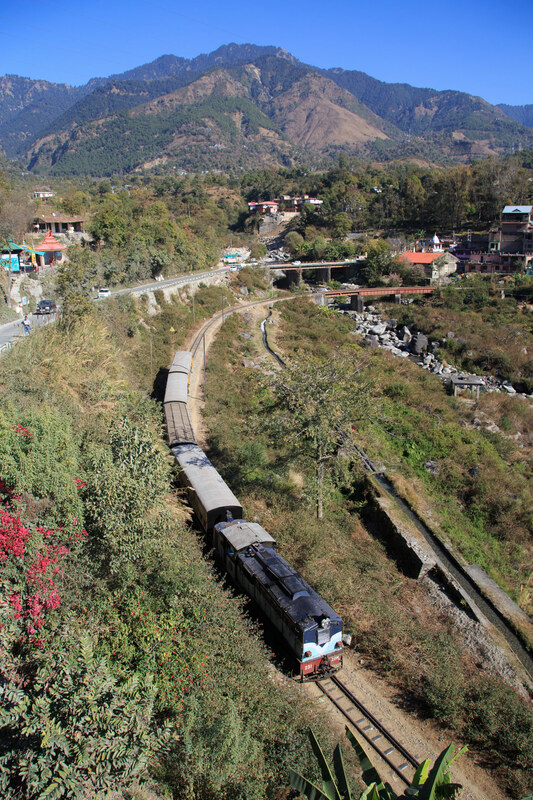 We used the short layover time in Joginder Nagar to go take a look at the Shanan Powerhouse incline railway. 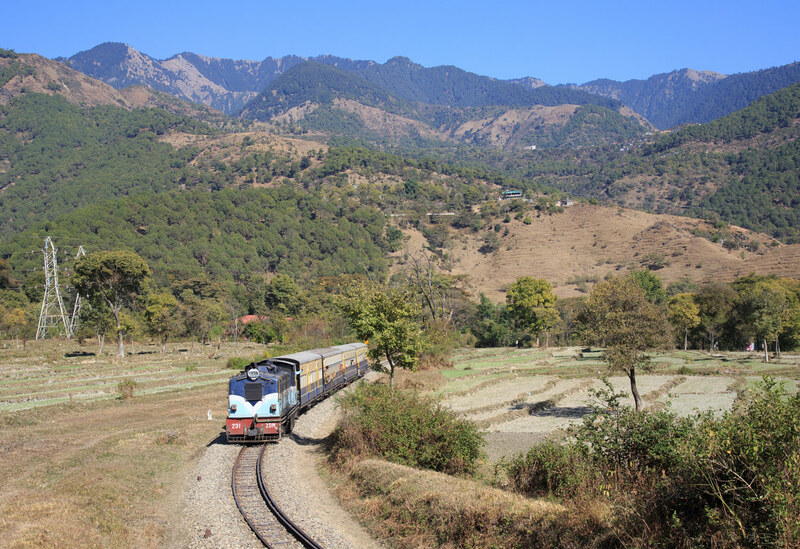 The Shanan Powerhouse is located just east of the town of Joginder Nagar and was the reason for the Kangra Valley Railway’s construction. The Shanan Powerhouse is a hydroelectric powerstation that draws water from the Uhl River on the other side of a ridgeline at Barot. 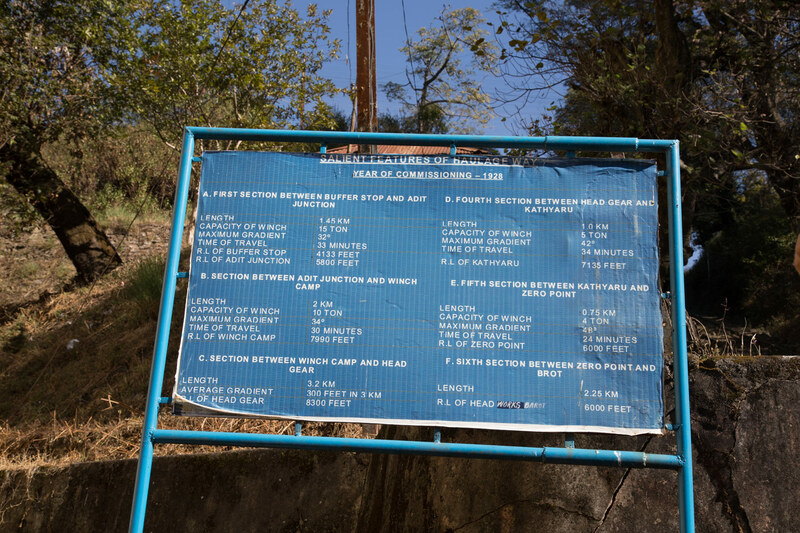 Barot is approximately 500 meter higher than the powerstation and the water flows through a tunnel and then through overground steel pipes to the powerstation. 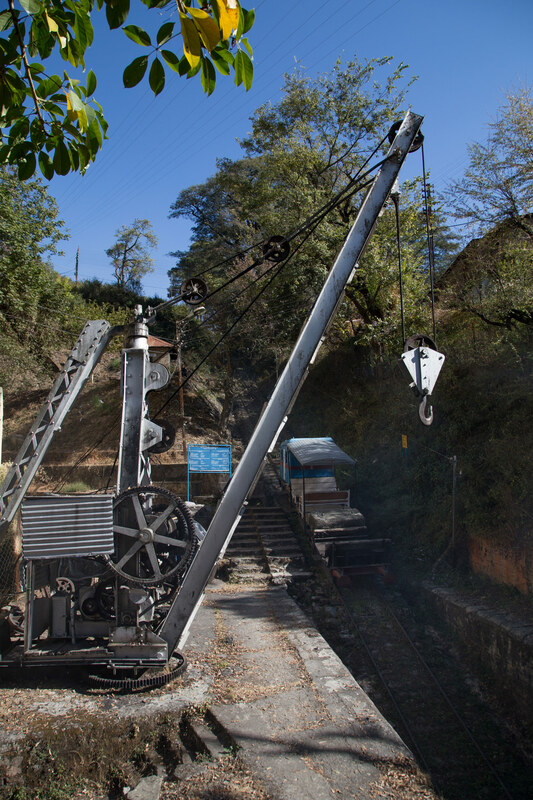 When the powerstation was constructed in 1928 there was no way to reach Barot from Jogindernagar due to the steep ridge so a funicular mountain railway was constructed to move supplies. 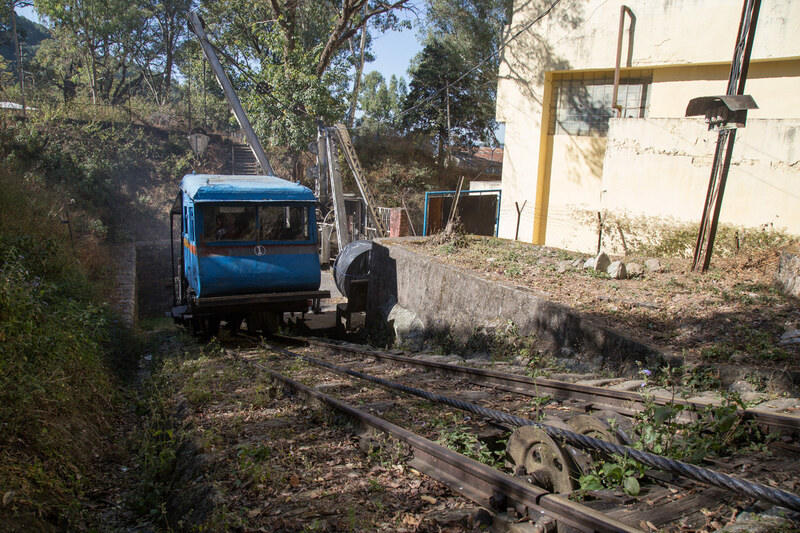 The railway actually consists of 4 parts, the first extends up from Shanan to the pump house where the water exits the tunnel into the pipes to the powerhouse, this segment is operated with a single railcar and is relatively short. The next and much longer segment extends from the pumphouse up to whats known at Winch Camp and operates with two cars that pass in the middle. 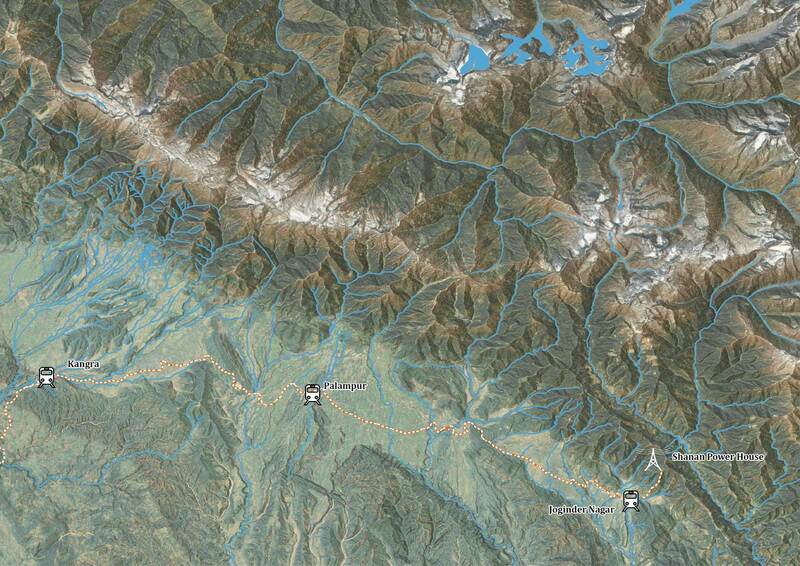 This line extends to an altitude of 2400 meters, while the Shanon powerhouse sits at 1283 meters. 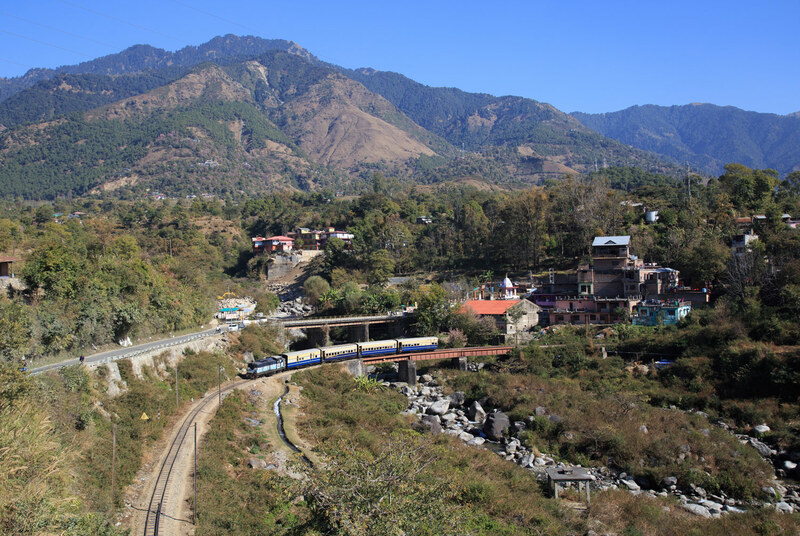 The third segment is a regular adhesion railway which runs 3 kilometers along the ridge to “Headgear” where it meets the final funicular railway segment that descends down to Barot. Today, unfortunately, the railway only operates once a day up to Winch Camp with the adhesion railway on the summit and the final funicular down to Barot out of service. The funicular supposedly departs at 0830 and permission may be required to ride as the system is quite rundown and probably not completely safe. Additionally it does not return until the next day so one must come prepared to either camp at Winch Camp or hike down to Barot or Pathankot. However from photos the views look absolutely spectacular, a video covering a ride on the trolley and exploration of the abandoned segment is linked below the photos. 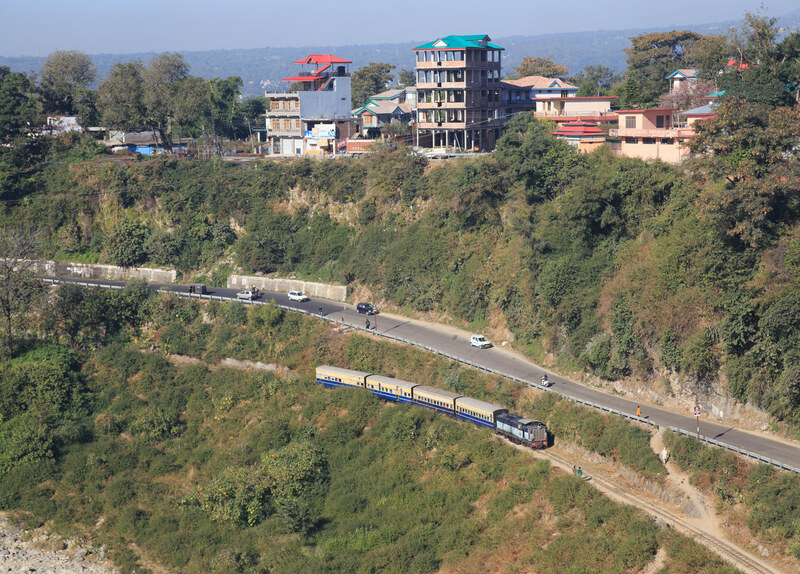 Below: The grade between Ahju and Baijnath is even more evident in this view, the little ZDM4’s dynamic brakes were screaming loud in protest as the train eased down the steep grade. 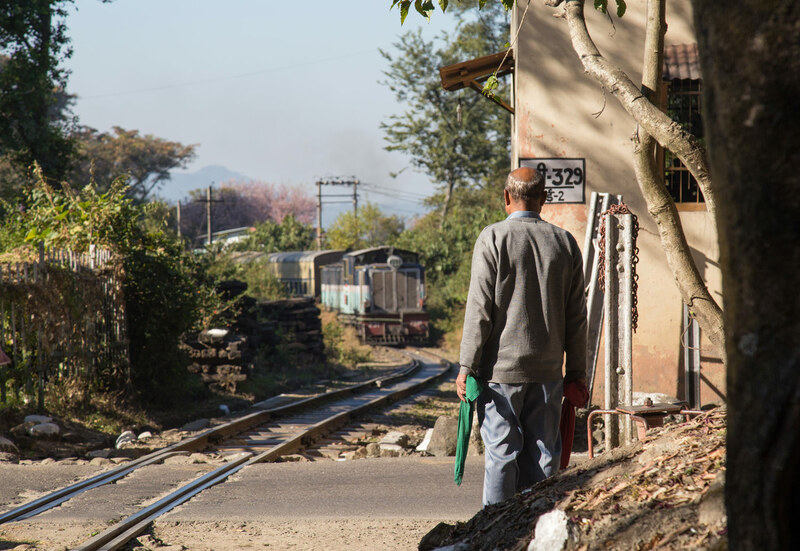 We had decided to skip photographing the train in Baijnath station and walk in to get a bridge shot west of town. After two hours of waiting and watching the shadows creep in we gave up, clearly, the train was cancelled for some reason and we did not have time to investigate as we too had to get all the way to Pathankot tonight and our plan to ride the same train was clearly not going to work. 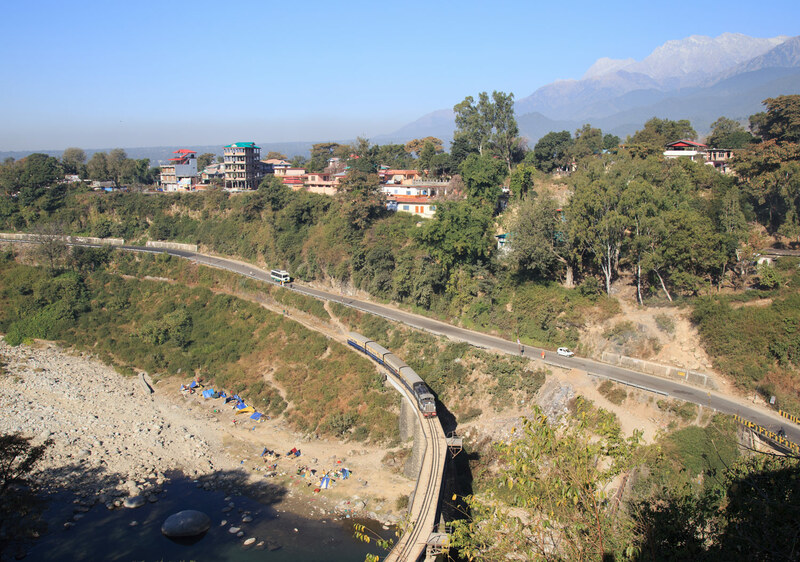 So reluctantly it was back to Kangra where we embarked on yet another bus trip. The bus was definitely a lot faster but far less interesting than the train, I was happy when we rolled into Pathankot and headed to my favourite Hotel Green for an extended dinner since we now had plenty of time to kill before our overnight to Dhuri Junction in Punjab. At 23:00 it was all aboard the 3AC coach of train 14036, the Dhualadhar Express for our overnight trip to Dhuri, but that’s another story for another day.